Europe is one of the world’s largest consumers of metals, minerals and rare earth elements in the industrial production. Resources, however, are limited. This seminar is a part of an initiative towards tackling the increasing need for raw materials. The seminar will discuss the necessary steps towards a fusion of raw materials exploitation with Europe’s high production standards and knowledge of green and clean technology in order to secure a stable access of raw materials for Europe in a sustainable manner. is Ministers – through a declaration - to decide the continuation of GEO after 2015 and give a mandate to define the “Second Implementation Plan 2025”. The Ministers are also expected to review the progress against the GEOSS Strategic Targets and to confirm their commitment to complete the current 2005-2015 Implementation Plan. The organisers invite you to contribute to this conference which will focus on remote sensing of ground surface and digital processing to support 3D geological modelling and interpretation in various fields of the geosciences. The objectives of the VGC14 conference are: (1) To present and discuss the most recent scientif ic results and techniques for vertical mapping by remote sensing as input for 3D geomodelling; (2) To identify related critical issues and promising developments; (3) To provide a forum for information and knowledge exchange between academic, government and practical geoscientists about 3D digital geology. The Geological Survey of Iran, in cooperation with the Earth Science Matters Foundation, organizes the First International Geosciences Conference in Iran, entitled "Geosciences and Politics, Economy & Culture in a Changing World". The International Conference will be held on 18 and 19 February 2014 in Tehran and is back-to-back to the 32nd National Geosciences Conference in Iran (16 and 17 February, to be held on 14 topics, each in another Province. One of the main reasons for this Conference to be organised is to highlight the recent changes in the political situation in Iran which will impact the position of the geosciences in the nation. The geosciences are key to sustainable development but this fact is not always fully understood by governments and other decision-makers yet. The high-level Conference aims to address such decision-makers on the linchpin position of the geosciences with respect to politics, economy and culture. This first high-level International Conference will be a major academic and public event and be held immediately after the 32nd annual Conference which is traditionally the largest geo-scientific event in Iran. The organising committee of the NAC Conference 2014 invites you to attend a two day conference on craton specific exploration targeting, using the North Atlantic Craton (NAC) as the area of interest. This workshop on the mineral potential of the North Atlantic Craton (NAC) as a whole is aimed at initiating and furthering trans-Atlantic collaboration in understanding the Archaean cratonic controls on ore deposit formation through time. The Archaean high-grade gneiss terrain of the NAC stretches from Labrador, Canada, through Greenland and into NW Scotland, UK. Acceleration in exploration efforts for various commodities across this region, particularly in Greenland, has highlighted the potential of its mineral resources. More recently, the importance of a craton-specific approach to mineral exploration has been realized. The Federal Agency on Mineral Resources and the A.P. Karpinsky Russian Geological Research Institute (VSEGEI) organise the 2nd International Conference «New technologies of processing and utilization of the Earth’s remote sensing data in exploration and monitoring of hazardous geological processes». The aim of the Conference is to discuss the current state and future developments of using remote sensing methods in geological studies. Specifically, research results in the following areas will be presented: (1) GIS technologies and processing and utilisation of Remote Sensing Data (RDS) in geological mapping; (2) new processing and utilization technologies of RSD in geological exploration and (3) methods of using RSD in monitoring of hazardous geological processes. The EGU General Assembly 2014 will bring together geoscientists from all over the world to one meeting covering all disciplines of the Earth, planetary and space sciences. The EGU aims to provide a forum where scientists, especially early career researchers, can present their work and discuss their ideas with experts in all fields of geosciences. For the first time, in 2014, the EGU General Assembly will have a theme which is The Face of the Earth – Process and Form. Geospatial Media and Communications in partnership with Swisstopo (Swiss National Mapping Agency), GEO secretariat and other key organisations like UN ECE, UNITAR, JRC of European Commission is organizing the most premier geospatial event- Geospatial World Forum.The forum is scheduled from 5-9 May, 2014 in Geneva International Convention Centre, Geneva, Switzerland. Having the theme 'geoSMART Planet: Resources, Infrastructure and YOU! ', Geospatial World Forum shall demonstrate the value and credentials of geospatial technologies as enabling tool for undertaking activities and programmes towards development of smarter planet helping managing its resources, infrastructure and people in more efficient and effective manner. It is likely to be attended by over 1200 high level delegates from close to 100 countries representing several important stakeholders of geospatial industry. The forum will provide opportunities for geospatial users, policy-makers, technology providers, researchers, academicians and students, to present technology trends, case studies, research work and technical papers to the global audience. The European Commission High Level Conference "Paving the way for a European Energy Security Strategy" will address the European Energy Security Strategy, with a special emphasis on developing a comprehensive plan to reduce the EU’s energy dependence and developing sustainable energy. The President of the European Commission José Manuel Barroso will give a keynote speech at the conference, and the Commissioner for Energy Günther H. Oettinger will present the broad outlines of the European Energy Security Strategy. This Conference provides an excellent opportunity to review cutting-edge satellite-based applications from a holistic perspective.The Conference will bring together the global satellite-based services stakeholder community, including senior representatives of the major space agencies,industry, governments, academia and NGOs. These leaders in the field will converge in Paris to present results, exchange ideas, debate roadmaps, and discuss the future opportunities provided by satellite-based applications.The comprehensive programme will include high-level round tables and technical sessions that will address the most recent achievements in satellite-based applications and explore how industry, politics, and law will help shape the future environment for this exciting domain of astronautics. The conference will start with a dedicated session for the representatives of Member States to UNESCO. The WSEAS session “Analysis and modelling of fast-moving flow-like phenomena” is organized under the 7th WSEAS International Conference on Engineering Mechanics, Structures, Engineering Geology (EMESEG '14). The session represents a fair opportunity to promote interesting exchanges among researchers in the field. Fast-moving flow-like phenomena are natural hazards often associated to huge consequences in terms of property and life losses. These phenomena -such as slamming water waves, debris, mud and hyper-concentrated flows - may affect both coastal and inland areas, protected beaches and harbors as well as residential urban communities, particularly in river basins and mountainous areas. Understanding the related dynamics is fundamental for preventing them as well as for hazard assessment and mitigation control through sustainable works. The paper submission deadline is the 3rd of April 2014. This eighteen-day intensive course is specifically designed to provide an overview of the Taxonomy, Ecology, Biodiversity, and Geological History of Benthic and Planktonic Foraminifera. The course is intended for students interested in Micropalaeontology, Paleoceanography, Paleoecology, Climate History, Biology, and Environmental and industrial applications. The courseconsists of lectures and practical classes covering the taxonomy, distribution, ecology, and paleoecology of foraminifera. Microscope lab sessions provide the opportunity for participants to learn the foraminiferal genera and species, and view Cretaceous to Neogene foraminiferal assemblages from Petroleum Exploration areas and ODP sites as well as Quaternary and modern assemblages. At the end of each lecture session, different tasks will be assigned to participants to reinforce the knowledge learned. Course materials include the lecture powerpoints and numerous pdf reprints of classic papers. The 20th World Congress of Soil Science is a special congress as the IUSS celebrates its 90th anniversary, but most of all it brings together some of the best and most international soil science with 2,900 papers from 112 countries. The full program is available at the congress website including instructions for presentations and advice on travel, weather, venue etc. The current focus on energy security is reflected in the European Commission agenda. The 10th Coal Dialogue will present sessions on coal’s contribution to security of supply and sustainability, alongside future challenges. An opening address by European Economic and Social Committee (EESC) Member, Mr. Dumitru Fornea, will highlight the need for more investment in clean coal technologies – a theme that will be developed in presentations from the European Commission and coal industry representatives. We also expect Prof. Vladko Panayotov, MEP (Bulgaria, ALDE) to join the meeting and say a few words about his patent for a new technology to reduce CO2 emissions from coal-fired power plants. The aim is to give plenty of time for debate with EURACOAL members. This year´s AIMS conference on 12th of June will address “High Performance Mining” as a synonym for increased efficiency, increased productivity, higher production rates and cost effectiveness in raw materials extraction. The special presentations on research results of the i²Mine Project (12th of June) – will be focused on requirements of ever increasing depths of mining in Europe. The Symposium intends to provide a platform for the exchange of experience and knowledge between international representatives of mining, tunneling, suppliers, authorities, research and academia. The world largest and comprehensive geoscience event will not only offer an excellent technical programme and exhibition but also workshops, short courses, field trips, a student programme, and a social programme. It is an honor for us to invite you to the 14th International Multidisciplinary Scientific GeoConference & EXPO SGEM2014, where we bring together scientists, educators, and practitioners representing research and educational institutions, companies, government agencies and consulting organizations from all over the world to exchange of ideas, to define the research priorities in the above fields and to propose potential solutions of problems related to the global changes. The conference will be organized in Workshops and Invited Sessions that will be held as a parallel to the conference oral presentations sessions. The 2014 Annual South East Asian Industrial Minerals Conference will be taking place in Bangkok on the 18th & 19th June, with a field trip planned for the 20th June. With support from the Thai government and leading Thai producers, the 2014 program will be a key showcase for the enhanced opportunities in the industrial minerals sectors covering both upstream and downstream fields in key areas such as ceramics, cement and mineral sands. This is the only conference of its kind to give a unique analysis of key industrial minerals sectors in the region. The full agenda will be available over the coming weeks. The scope and topics of the symposium include but are not limited to: Recycling: Principles, technologies and Industrial Practice. This conference is a stand-alone one within the Shechtman International Symposium in honor of life-time achievement of Prof. Dan Shechtman - the 2011 Nobel Prize Laureate in Chemistry. This symposium will equally cover the important pillars of sustainability: (1) political and social framework (2) science, technology and industrial practice and (3) education in the entire cycle of existing and new industrial processes. The Commission Communication on the exploration and production of hydrocarbons (such as shale gas) using high volume hydraulic fracturing in the EU, issued on 22th January 2014, concluded that "in order to continue increasing the knowledge on unconventional hydrocarbon extraction technologies and practices as well as to further reduce potential health and environmental impacts and risks, the Commission will establish a European Science and Technology Network on Unconventional Hydrocarbon Extraction. The Joint Research Centre (JRC) has received a mandate to establish and manage this network in close cooperation with DG Environment and DG Energy and involving also DG Research & Innovation, DG Climate Action and DG Enterprise and Industry. The Network aims at "…bringing together practitioners from industry, research, academia as well as civil society. The Network will collect, analyse and review results from exploration projects as well as assess the development of technologies used in unconventional gas and oil projects". The 2nd International Conference on Information Technology in Geo-Engineering will be held in Durham, UK on 21-22 July 2014. The conference follows the successful first conference held in Shanghai in 2010. The conference is intended to bring together researchers and practitioners involved in information technology applied to geotechnical engineering, engineering geology and geo-environmental engineering. This is a time of increased activity in research and practice related to information technology and we would like to invite you to attend the conference and participate in the presentations and discussions. The 3rd Young Earth Scientist Congress and 25th Colloquium of African Geology-CAG25 will be conducted at the Mwalimu Julius Nyerere International Convention Centre in Dar es Salaam, Tanzania from 11th - 14th August 2014 (3rd YES Congress) and 14th -16th August 2014 (25th Colloquium of African Geology). Both events will be organized jointly by the Tanzania YES National Chapter and the Tanzania Geological Society in cooperation with governmental and non-governmental organizations under the auspices of the YES Globally, Geological Society of Africa (GSAf), and other development partners. The theme for the 3rd YES Congress is: “Bridging Geo-Generation into Global Earth Science Integrations” and the theme for the CAG25 is “Earth Sciences for Improving Livelihood in Africa”. Both events focus on the need of achieving sustainable development by promoting sustainable management of Earth resources for inclusive and equitable economic growth as well as creating greater opportunities for all. This could be achieved through enhancing an active participation of geoscientists in decision-making processes on issues related to the earth resources exploration and extraction. The senior and early-career earth scientists from organizations, associations, mining companies, civil societies, politics, and media will be welcome from all over the world. The members, delegations from each National Commissions for UNESCO will also be invited, especially the new career scientists from African countries, South America and other developing areas. These representatives will be from different countries and will also be active at the national level. The participation of these individuals from different sectors and countries will enhance international collaborations and increase the involvement of the international community. The estimated participants will range from 300 to 600. On August 22, 2014 FGUP VSEGEI will host the working meeting "Current state and prospects of work development under the international projects for the study of geological structure and evaluation of mineral resource potential in the largest regions of the World". The meeting will be attended by representatives of the Federal Agency on Mineral Resources, subordinate institutions, and foreign participants in the projects. The 5th International Disaster and Risk Conference IDRC Davos 2014 is organised by GRF Davos in close cooperation with the United Nations Office for Disaster Risk Reduction (UNISDR). IDRC Davos 2014 attempts to find solutions to today’s challenges by managing risks, reducing disasters and adapting to climate change. It will be held under the theme "Integrative Risk Management - The role of science, technology & practice" from 24 - 28 August 2014 in Davos, Switzerland. The Global Risk Forum GRF Davos invites you to submit an abstract for oral presentation, poster presentation, a session or a workshop on one of the conference topics by 28th February 2014. The organizers are pleased to present an outstanding conference agenda. For your convenience we have compiled an overview brochure with the most important facts and figures about the conference. The outcomes will be presented at the UN World Conference WCDRR in Sendai, Japan in March 2015 and aim to influence the Post-2015 Framework for Disaster Risk Reduction (HFA2). Members of Endorsing Partners profit of 10% reduction on the regular registration fee. Join the debate in Davos and register online. The XII IAEG Congress celebrates 50 years from the IAEG foundation. The aim of this Congress is to testify the fundamental scientific role of Engineering Geology in the last 50 years, through the contributions of successful, well-known researchers. At the same time, the congress aims to thrust forth the IAEG future role by involving young, enthusiastic scientists making them conscious of the challenges, sometimes hard, that the engineering geology is facing. We want them to be able to overcome future difficulties in geo-environmental management and habitat protection. 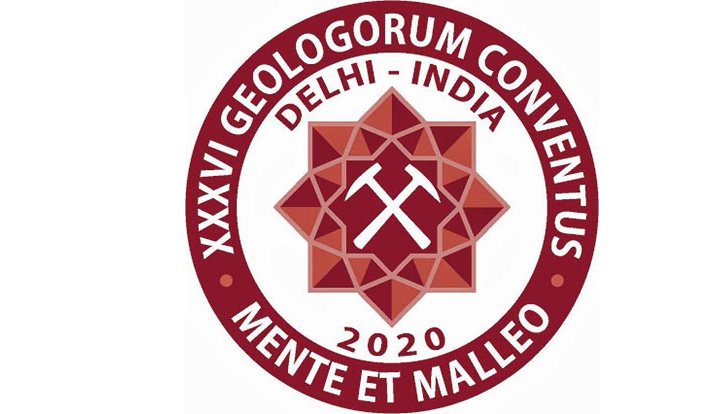 An important goal of the XII International IAEG Congress is to promote and increase the relationships between scientists and Engineering Geology professional operators (Owners, Practitioners, Design Firms and Contractors). The integration of the two worlds will have helpful effects on surveys, design and construction procedures, and monitoring techniques.The Congress will also offer an extraordinary opportunity for scientists,companies and agencies to meet and improve together the current state of Engineering Geology. For this purpose keynote lectures will be delivered by both academic representatives and professional operators. The Representation of the Free Hanseatic City of Bremen to the EU organizes the event " Blue Growth Innovation - Intelligent Maritime Robotics as Game-Changing Technology" to present how innovative technologies can contribute to environmentally friendly exploitation of maritime resources and sustainable marine growth. There will be showcased challenges of solutions in designing and implementing intelligent underwater systems and discuss the importance of these technologies for science and industry in Europe. The 2030 climate and energy targets recently proposed by the European Commission, the crisis in Ukraine, as well as the upcoming international climate negotiations require from the European Union and its Member States a concerted and firm action to increase the share of renewables in the energy mix and to progressively move away from fossil fuels. Given this context, the Sustainable Development Observatory (SDO) of the European Economic and Social Committee (EESC) decided to conduct a study on the implementation of the Renewable Energy Directive (RED) in six Member States. Our goal is to assess the existence of conditions for the production of decentralized renewable energy by civil society and local communities. The European Commission and the Norwegian Ministry of Petroleum and Energy will hold a conference on EU – Norway energy cooperation, focusing on developments in the power and gas markets and security of supply. The conference will look at the role of the industry and other stakeholders in ensuring energy security, with focus on gas and the power market. Challenges such as the integration of renewables in our energy system will be addressed. Keynote speakers will be Günther Oettinger Vice-President of the European Commission in charge of Energy and the Norwegian Minister for Petroleum and Energy Tord Lien. European Mining Business Forum is an event held upon the initiative of the Bulgarian Chamber of Mining and Geology since 2010. It is unique for Bulgaria and our country, as one of the European countries with developed mining industry and extensive experience in prospecting and exploration of mineral resources, is hosting is every second year. The purpose of the forum is to create a platform for discussion, exchange of ideas, solutions and best practices on all aspects of sustainable development in the sector. It brings together hundreds of participants: representatives of the leading companies in the sector, public administration at the highest level, representatives of the European institutions, academics and non-governmental organizations in the field of sustainable development and environment, diplomatic representatives. The key aim of the imaGIne-2 conference is to have presentations and panel and delegate4 discussions with a strong GI/GT user focus across a range of thematic areas (health, security, transport, agriculture etc) as well as to highlight best practice examples of the use of GI and GT in the areas which can highlight the good work taking place in Europe. Satellite observations are a key element in an integrated and sustained climate observing system and have been critically important for monitoring and understanding the Earth’s climate system during the past several decades. The expected completion of the IPCC Fifth Assessment (AR5) in 2013-2014 makes it timely to discuss these achievements, to assess future opportunities and challenges with satellite derived climate information, and to provide guidance on future priorities. The symposium will be an important step towards defining requirements, and the further development of an efficient and sustained international space-based Earth observing system. This symposium is intended to bring together the international experts in climate observations, research, analysis and modeling to present and discuss results from their studies, with a particular emphasis on the role of space-based Earth observations in improving our knowledge of the current climate at global and regional scales, and in the assessment of models used for climate projections. The Raw Materials University Day at the Politecnico of Milan is organised in the framework of the communication strategy of the European Innovation Partnership (EIP) on Raw Materials, which aims to promote sectorial competitiveness, sustainable growth and employment by showing the huge potential of European raw materials. The main objectives of the Raw Materials University Day initiative are to show to potential students the attractiveness of the raw materials sector and career opportunities for future graduates, but also to inform them that the industries using raw materials will become increasingly innovative and green in the future– e.g. digital and green economy. This event follows the alike initiative of the Raw Materials University Day 2013, held in Rome at the University La Sapienza. The European Autumn Gas Conference (EAGC) 2014 will attract business leaders operating within Europe’s gas supply chain who are looking to adapt and overcome the commercial, geopolitical and macro-environmental challenges of working in the region. These include government officials, regulators, upstream and midstream companies, utilities, traders and originators, investors and large industrial energy users. The African Association for Women in Geosciences (AAWG) supports the development of Earth Scientists in Africa by providing opportunities for networking and applying science for the sustainable development challenges the continent is facing. Opportunities for earth scientists are great, extending from traditional mineral extraction to environmental management such as climate change adaptation, prevention of natural hazards, water scarcity, and ensuring access to quality earth science training. To assist African governments to realize opportunities, AAWG activities are developed through a participatory approach. International conferences have been organized to address various issues that affect the African continent, to which Earth Scientists can make a contribution. The 7th AAWG conference is being organized, taking into consideration the current challenges the continent is facing in view of the changing climatic conditions, which is threatening sustainable development agenda in Africa. This event is jointly organized by the International Atomic Energy Agency (IAEA), UNECE and the Council for Geoscience of South Africa. Amongst other topics, this regional workshop will focus on the benefits of UNFC–2009 as a tool for effective management of mineral resources; formulating an integrated exploration strategy for undiscovered resources of uranium, hydrocarbons and coal in ‘energy basins’; and as a medium for social licensing and stakeholder communications. Applications of UNFC-2009 in reporting and managing unconventional uranium resources and comprehensive extraction will be presented, as well as a series of case studies. The Minerals4EU Stakeholder engagement event will be hosted by Grant Thornton UK LLP in their City of London office. The event aims at present and discuss the project to senior professionals from a wide spectrum of the mining sector, together with those involved with mining in the financial, regulatory and broker communities. Europe is emerging from a deep financial and economic crisis and it is widely agreed that stronger European industrial competitiveness is vital as a driver for economic growth and job creation. In this regard, while ensuring the achievement of essential climate and environmental objectives, it is now recognised that it is imperative to ensure that EU energy policy is shaped in such a way as to guarantee, not only security of supply for all consumers, but also stable and affordable energy prices for European businesses. This conference will offer the opportunity to analyse and discuss, among leading political and business actors, and free from any taboos, all the crucial and sensitive components of an EU energy policy that is able to contribute to boosting European industrial competitiveness. This workshop will bring attendees up to speed with the ongoing activities of the UNECE Task Force on the Application of UNFC to Renewables, including the current work towards delivering commodity-specific specifications for different renewable energy resources. The views and opinions of all stakeholders are critical in ensuring the development of a robust set of specifications that meet the needs of all potential end-users. Current energy security concerns foster an ever greater need for countries to consider managing their energy portfolio as a mix of conventional and renewable resources, this work helps to deliver on that need. In light of the decision of the UN General Assembly to declare the period 2014-2024 to be the Decade of Sustainable Energy for All (SE4ALL) and considering the role of energy in the the post-2015 development agenda, the Committee on Sustainable Energy will focus this year’s dialogue on "Energy for Sustainable Development" featuring a reality check on energy transition, energy efficiency, renewable energy and gas. EFG Conference - "Min Win‐Win: Establishing Europe‐Wide Minerals Reporting Standards – The Key To Reducing Risk And Increasing Opportunity?" The European Federation of Geologists (EFG) and the Pan‐European Reserves & Resources Reporting Committee (PERC) organized the conference “Min Win‐Win: Establishing Europe‐Wide Minerals Resources And Reserves Reporting Standards - The Key To Reducing Risk And Increasing Investors'Confidence?”. This conference aims to promote the adoption of a common reporting standard for minerals in the EU and will thus provide a unique opportunity to learn about and discuss concrete steps regarding mineral reporting in a cross‐disciplinary environment, including EU policy makers, national government officials, academics, minerals company executives, finance and industry experts. The conference will include a social dinner on the Thursday 20th evening, and a one‐day PERC training course in minerals reporting using PERC standard (Wednesday, 19th November) is to be offered in conjunction with the conference. The conference addresses the potential for mineral resources in contributing to the development of Greece and Cyprus. Issues like the prospects of developing mineral resources in accordance with modern concepts and technologies during the current global economic crisis will be emphasized. The conference will interest geoscientists, professionals, companies, researchers, the competent authorities and all those who are engaged in research and development of mineral resources. The conference is co-organized by the Technological University of Cyprus, the Greek National Center of Viable and Sustainable Development (EKBAA), the Cyprus Association of Geologists and Mining Engineers and the Greek Mining Engineers Association. The 12th Swiss Geoscience Meeting is organized by the Department of Geosciences of the University of Fribourg and the Platform geosciences of the Swiss Academy of Sciences (SCNAT). On Friday 21st, the theme of the 12th Swiss Geoscience Meeting is "Drilling the Earth". Five keynote speakers will present the latest research on ice coring at high altitudes to sediment coring in the deep oceans. Topics will include the insight gained from climate and ecosystem archives, the potential of unconventional georessources and the investigation of geohazards. On Saturday 22nd, a series of 21 scientific symposia will cover the diverse spectrum of current research in geoscience, encompassing the lithosphere, the hydrosphere, the cryosphere, the biosphere, the atmosphere and the anthroposphere. The first international research conference on Minerals in the Circular Economy brings together researchers from identified hot spots along the mineral value chain. It is organized jointly by VTT Technological Research Centre of Finland, GTK Geological Survey of Finland, Aalto University and University of Oulu. A central purpose of the conference is to offer junior and senior researchers alike a possibility to present their recent research and to network beyond their usual sphere of research in solving problems related to sustainable use of mineral raw materials. The conference covers a significant research area on tools and methods that apply for the whole mineral value chain from the mine to the user and further to recycling. 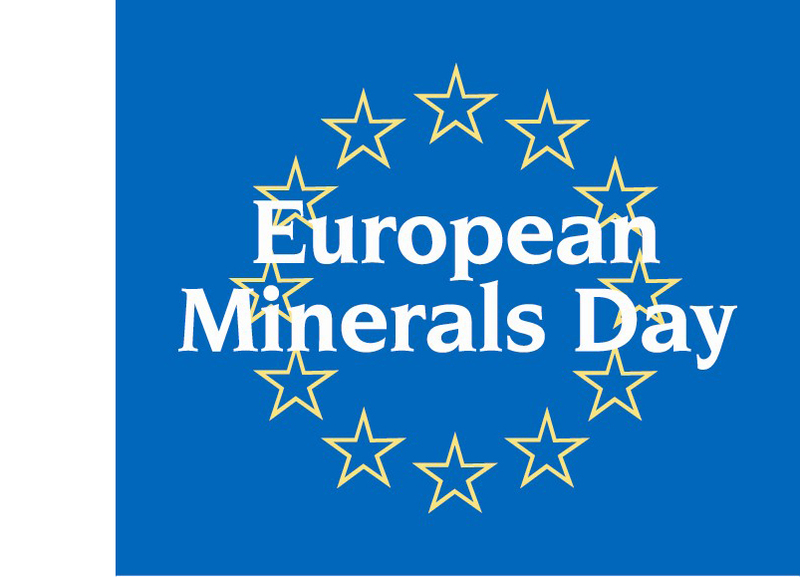 Minerals4EU Stakeholder Engagement event "Delivering the European Minerals Yearbook"
Minerals4EU strongly believes in engaging with stakeholders at all stages, both to inform and to receive comments that will help to steer its development. The project stakeholders are all those subjects involved in the mining sectors, namely Academia, research Institutes, private mining companies, investors, financial officers, etc. This event will focus on two project pillars: the delivery of the European Minerals Yearbook (Work Package 4) and the Sustainable Minerals Intelligence Network (Work Package 2). A dedicated Workshop will be held to discuss specifically the scope of the Minerals Intelligence Network and the membership of the proposed permanent body. The Geological Remote Sensing Group (GRSG) announces the 25th Anniversary meeting. This meeting will celebrate 25 years of geological remote sensing focusing on the pinnacle moments during this period as well as looking at the wide range of remote sensing tools, latest developments, sensors and applications that are now available. As usual, abstracts are welcome on a wide range of remote sensing themes, including: Remote sensing changes, Mineral exploration, Oil & Gas, Geological applications, Geomorphology, Geohazards (e.g. landslides, flooding), Terrain, Bathymetry and Elevation models, Classification, multi-temporal analysis and modelling, Planetary science & comparative geomorphology, Hyperspectral & Multispectral; Radar / InSAR; Optical & high resolution.